Fiercely pungent and hot cayenne pepper is known as the most common spicy ingredient in the kitchen. Being a member of the Capsicum genus, cayenne pepper has the hotness of from 30,000 to about 50,000 units of Scoville heat on the Scoville scale. This spicy ingredient is used in a whole form as well as powdered form in various dishes, especially in Mexican as well as southwestern American dishes. For thousands of years, people have been used cayenne pepper as 1 part of Native American medicine and dish. It’s used widely in Ayurvedic and Chinese medicines. In fact, capsaicin is the active compound which makes cayenne pepper have the heat. Additionally, this compound also contributes to helping cayenne pepper have several health benefits. Moreover, cayenne pepper also has a rich source of vitamins A, B6, C and E, manganese, potassium, iron, copper, and numerous flavonoids, which provides it with powerful antioxidant properties. Hence, consuming a very small source of cayenne pepper regularly is also helpful for your health. Today, in this writing, VKool.com will introduce top 10 health benefits of cayenne pepper powder. This article listed the best advantages of using this spicy ingredient from reliable sources. However, it is for the informational purpose. Keep following this writing to find out the one which is useful for you! Cayenne pepper contains capsaicin that acts as a powerful and natural antioxidant and assists in dilating blood vessels to provide you with a proper blood flow via your body and organs. Besides, it also promotes the activity of fibrinolytic and prevents factors leading to the blood clot formation. A proper blood circulation will help to decrease the chance of getting blood clots along with several heart diseases. Plus, capsaicin is also beneficial in easing triglycerides and LDL (low-density lipoproteins or ‘bad’ cholesterol), 2 of the major factors causing heart disease. This compound even aids in lowering blood pressure and removing blockages in your veins and arteries. You just mix cayenne pepper powder (1/2 teaspoon) in warm water (1 cup). Next, you add 2 tablespoons of unfiltered and raw apple cider vinegar with 1 tablespoon of honey in this cup and stir them thoroughly. You drink this mixture for 2 times per day. Another of top 10 health benefits of cayenne pepper is to support detoxification which will protect the body from health problems and stimulate optum health. Detoxification aids your gallbladder and liver in eliminating harmful toxins in your body. Because cayenne pepper is a circulatory stimulant, it can raise your body temperature and promote your metabolism and thereby streamline the natural detoxification process. In addition, it also activates your sweat glands, which is another vital factor in detoxification. Now, mix the extract of 1 lemon well with ½ teaspoon each of cayenne pepper powder along with raw honey (based on your taste) in 1 glass of lukewarm water. You stir them well and drink this solution when you have an empty stomach every day within 1 week. Keep repeating this again after 1 month. Cayenne pepper can help in preventing cancer of the liver, lungs, breast, skin, and prostate. This again is associated with the capsaicin goodness, which will make the cancer cells hang up in a process named apoptosis. It is proven that capsaicin modulates the EGFR/HER-two pathway and thereby leading to apoptosis and cell-cycle arrest in ER-negative and positive breast cancer cells. This will help in treating and preventing breast cancer. Therefore, you just include a little amount of cayenne pepper in each of your daily meals to reduce the chance of getting cancer. Do you know that cayenne pepper can help in fighting common cold? In fact, this ingredient acts as an anti-flu and cold agent and can provide you a relief from flu and common cold symptoms quickly, particularly congestion. Cayenne pepper contains a fiery effect that has the ability to promote secretions, which will relieve blocked sinuses and nasal congestion. It even leads to sneezing to help eliminate the allergens and mucus in your sinuses. It is reported that patients using a nasal spray contained capsaicin within 2 weeks suffered from congestion less than those didn't. First of all, you mix ¼ teaspoon each of ground ginger and cayenne pepper powder, a tablespoon of honey, and a tablespoon of unfiltered and raw apple cider vinegar. You mix them well and then add half a cup of lukewarm water to this mixture. You stir them and drink it for twice daily. Besides, when you suffer from a cold, you may also add cayenne pepper powder to your salad or soup and the ginger tea to ease the symptoms of this condition. If you want to get more information about health benefits of cayenne pepper, stay with us for our next post! Improving oral health is also one of the effective health benefits of cayenne pepper. In fact, this spicy ingredient is a powerful agent for improving oral health as well as preventing gum problem that may extend from gingivitis to periodontitis. Cayenne pepper may help to deal with several oral problems such as swollen gums, bad breath, a toothache, dry mouth or bleeding gums, etc. Plus, it contains anti-inflammatory and pain-relieving properties which can assist in easing swelling and pain of the gums. 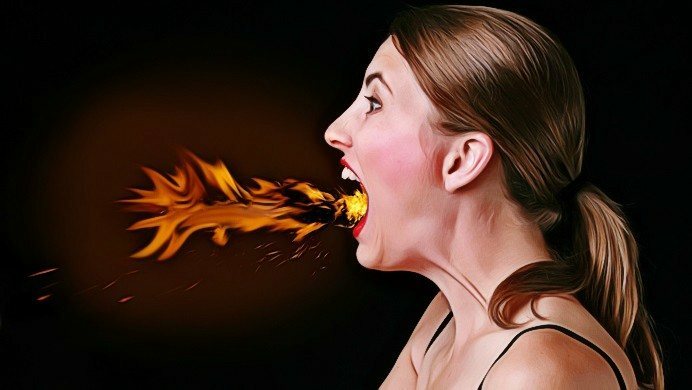 Because it has the ability to stimulate the production of saliva, cayenne pepper can even heal bad breath and dry mouth. Now, firstly put the cayenne pepper tincture (3 or 4 drops) on 1 soft-bristle toothbrush. Then you use this toothbrush to brush the gums for several minutes. After that, you thoroughly rinse off the mouth with water. Remember to follow this process for 2 or 3 times weekly to keep oral problems at bay. Using capsaicin is very effective in healing psoriasis. Capsaicin has anti-inflammatory and antioxidant properties, which will provide you with a significant improvement in itching and various other symptoms of psoriasis. In addition, it is also an antimicrobial agent, helping to prevent infection. Topical application of capsaicin is proven to effectively heal pruritic psoriasis. In a study, 197 people who applied 0.025 percentages of capsaicin cream for 4 times per day during 6 weeks had a very satisfactory result in treating psoriasis. You just apply the capsaicin-based lotion and cream on your affected skin area for several times daily. You usually notice an improvement in the skin condition after 3 to 7 days applying this. Note: Avoid applying it on your sensitive skin areas such as near your eyes along with mucous membranes. And do not forget to rinse your hands after using capsaicin. If you suffer from a migraine, tension or a cluster headache, you may take benefits of cayenne pepper to reduce pain. Capsaicin in cayenne pepper provides you with the healing powers and pain-relief abilities. It is very useful for treating migraine pain. In fact, capsaicin has the ability to ease the platelet aggregation agent that has often responsibility to constrict the blood circulation in your head causing the onset of migraine headaches. You may also use capsaicin-based ointments or gels to get a quick relief from a cluster headache. It is suggested that using capsaicin cream is very beneficial in treating cluster headaches. This is one of the great health benefits of cayenne pepper. Capsaicin contained in cayenne pepper acts as a natural and powerful decongestant to help you relieve inflammation as well as control the production of mucus in your nasal passages. In addition, it also assists in eliminating infection causing germs. Firstly, you prepare a cup of boiled water and add the cayenne pepper powder (about ½ teaspoon) in this water. You stir well and use this spicy solution to gargle for 3 to 4 times daily till your sore throat is subsided. Another option is to mix the cayenne powder (½ teaspoon) with 1 tablespoon of honey and consume it for a few times every day. Note: It is not recommended to apply these remedies for small children. Cayenne pepper is very beneficial in reducing appetite. It means that you will consume fewer calories throughout your day, which helps you to reach the target of weight loss. Therefore, cayenne pepper is a great metabolic booster that aids your body in burning excess fat faster. Plus, it supports a proper digestion along with absorption of nutrients. This is essential to take advantages of benefits of cayenne pepper for keeping a healthy weight. A study reports that consuming 6 mg/d capsinoids safely stimulates in burning abdominal fat. Now, you just add the cayenne pepper (½ teaspoon) to the breakfast smoothie or juice to limit appetite as well as burn calories. The capsaicin content in cayenne pepper provides you with an anti-inflammatory effect, helping reduce inflammation and pain. Moreover, it also inhibits your brain’s pain transmitter activation, which will decrease the pain feeling. Cayenne pepper is very effective in healing tender muscles and achy joints. Many health experts recommend that using ointments or creams containing from 0.025 to 0.075 percentage of purified capsaicin will relieve tenderness and pain from osteoarthritis, joint pain caused by arthritis, nerve pain due to shingles, back pain, leg pain due to diabetic neuropathy or pain after surgery. You may use cayenne pepper to make a pain-relieving ointment at home. First of all, you mix the ground cayenne pepper (½ teaspoon) with 3 to 4 teaspoons of warm coconut or olive oil. Then you apply this ointment directly on your painful muscles and joints. Keep waiting for about 20 minutes and then wash it off. Do this process again for once per day till the pain disappears. Note: Remember not to use cayenne pepper directly on the irritated or broken skin. Avoid applying capsaicin cream on broken skin or open wounds. Do not let it contact with your nose, mouth, and eyes. Remember not to use capsaicin creams for babies under 2 years old. Do not forget to rinse your hands after applying any capsaicin cream. You should not take a hot shower or use a heating pad before and after rubbing a capsaicin cream. You should always consult your doctor before taking a capsaicin supplement. If you have a heartburn or stomach irritation after consuming cayenne pepper, consult the doctor immediately. Put the fresh cayenne pepper in a plastic bag and then store in the refrigerator. For dry powder, you just put it in an airtight bottle and place in a cool area. If you suffer from a burning sensation in your mouth after consuming cayenne pepper, you may consume cold yogurt to get a quick relief. If you want to know more about health and beauty benefits of various ingredients, please go to visit our main Health page. After reading the writing about top 10 health benefits of cayenne pepper powder, hope that it can help you find out the best benefits of using this spicy ingredient for your health. However, the article is only for the informational purpose; therefore, you should see your doctor to get some advice before consuming it or using for another purpose. If you have any question related to any problem, please leave your comments below, I will respond you soon. Also, if you know other benefits of cayenne pepper, please share them with us.